Do you think you can estimate the cover of plants as well as the experts? I’m sure you can. When we all put our minds to it, we can do it really well. A few years ago, sixteen experienced botanists were asked to estimate the cover of spinifex (Triodia) tussocks in a patch of Mallee. Each botanist was asked to estimate the cover to the closest 10% – e.g. 20%, 30%, 70% and so on – so they didn’t have to get it exactly right. Each did it privately and didn’t know what the others were going to say. How variable do you think their estimates were? 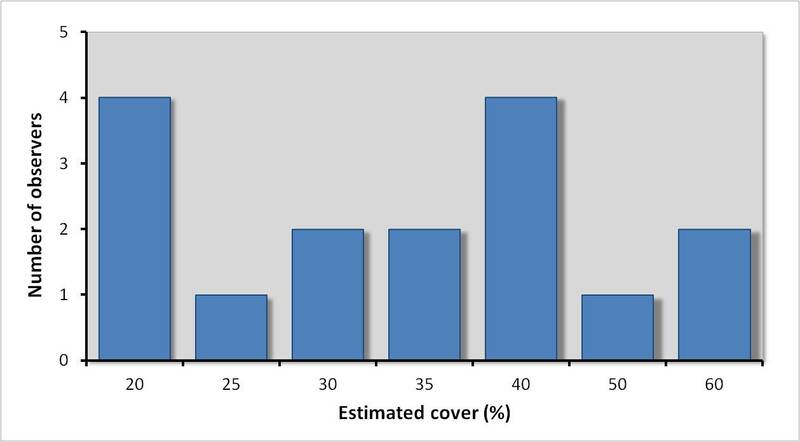 For example, if the real cover of spinifex was 35%, what do you think the lowest and highest estimate was? Would most estimates have been 30% or 40%, or would the range have been much wider, or perhaps narrower? Don’t read on. Stop and guess. If the real cover was 35%, what do you think the lowest and highest estimate was? Now look at the chart below. It’s hard to estimate plant cover accurately, even if you’re an expert. Sixteen botanists gave wildly different estimates of spinifex cover in the same patch of bush (Source: Cheal 2008). The sixteen estimates ranged from 20% to 60%. Four botanists thought spinifex covered 20% of the area while two thought it covered 60%. The highest estimate was three times the lowest. That’s an enormous range. I don’t want to imply that I’d do any better than the sixteen. From what the literature says about experts (and old white guys in particular), I’d be as bad as the next person and probably worse. Regardless of my personal abilities, the take home message from the chart is: we don’t seem to be very good at our job do we? You might be wondering, ‘what was the right answer?’ The author of the paper that contained the graph didn’t say. For the moment, the right answer is somewhat irrelevant (although I’ll show you how to work it out below). The point is, visual estimates of plant cover – by experts and novices alike – are notoriously inaccurate. Field botanists are always estimating the cover of plants in quadrats. We estimate cover in thousands of surveys, experiments and long-term monitoring programs. Fortunately, it doesn’t always matter if our cover estimates are insanely bad. We’re often more interested in the presence and absence of different species than in the cover of each species. For example, imagine we sampled ten quadrats in patches of spinifex mallee and ten quadrats in nearby wetlands for a vegetation survey. If we classified the data to describe the floristic vegetation types (or communities or associations), we’d get much the same result if we used cover values or presence / absence data, as the two communities are so distinct. Either way, we’d conclude that two distinct communities were present (Spinifex mallee and Wetlands), each containing a different group of species. Is spinifex (Triodia) cover increasing or decreasing? (Original photo by Sarah Avitabile). 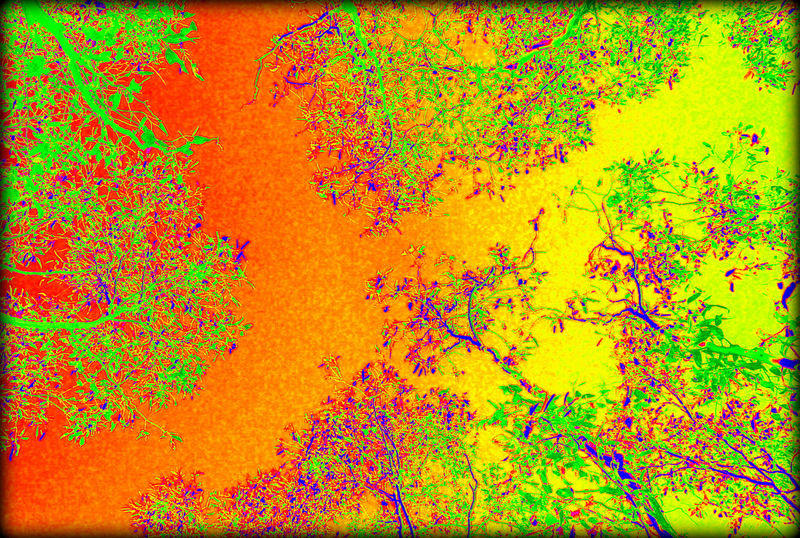 Errors in estimating cover create a much bigger problem when we monitor how vegetation changes over time. Let’s look at the Spinifex data again. Imagine the area was first surveyed by one of the botanists who thought that spinifex covered 60% of the area. Many years later it was surveyed again, but this time by one of the botanists who thought the cover was 20%. If the vegetation hadn’t changed at all, their results would suggest that spinifex cover plummeted from 60% to 20% during the period. Even if cover actually increased by 20%, they might still suggest it was in free-fall. Spinifex tussocks provide important habitat for many animals, so if two-thirds of the cover disappears it’s a big issue, provided it’s real. The simple spinifex study (and many other studies conducted over decades) suggests that – if a single observer visually estimates plant cover at each point in time, and different observers assess cover at different points in time – then it’s pretty much a complete waste of time to calculate changes in cover over time, as apparent changes are as likely to be due to ‘observer errors’ as to anything real. Why are our estimates so bad? We humans are terrible at estimating heaps of stuff, not just the cover of plants: how many lollies in the jar, how likely we are to win the lotto, how many beans make five, and how long is a piece of string, just for starters. It turns out that, in some fields, experts are much better than novices at estimating and predicting things, as they continue to refine their skills with practice. In these fields, experts really do refine their expertise. In other fields, experts think they are much better than novices, but they’re actually really bad at it; some are even worse than novices. The Freakonomics podcast gives lots of great examples. Of course, to have such a conversation, someone has to measure the cover in the first place. It’s easy to measure cover more accurately using point quadrats, line transects and other methods, but accurate measurements are slower than eyeballing, which is why they aren’t used as often as they should. I wonder how often most field ecologists calibrate their estimates against accurate measurements? Not very often I suspect. We rely on visual estimates because it’s quick, cheap, no one checks our numbers, and because we were trained to (by people like me). Perhaps that’s why the sixteen estimates of spinifex cover ranged from 20% to 60%. Humans are weird. We’re awful at estimating things on our own, but collective estimates made by groups of people can be extremely accurate. It’s one of the few times in life when the aphorism – Sh! @ In, Sh! @ Out – doesn’t apply. When you throw lots of Sh! @ into the mix, something awesome comes out the other end. It’s called the Truth, or something closer to the Truth than most individuals can reliably generate. Of course, crowds aren’t always wise (as social media demonstrated after the Boston Marathon). So our question is: does the Wisdom of the Crowds apply to estimates of plant cover? Do groups of people generate more accurate estimates of plant cover than single observers? This simple question has practical repercussions. If you want to set up a long-term monitoring project, should you ask a group of people or a single observer to assess all of the plots? Can a lone smart botanist ever beat a big dumb crowd? 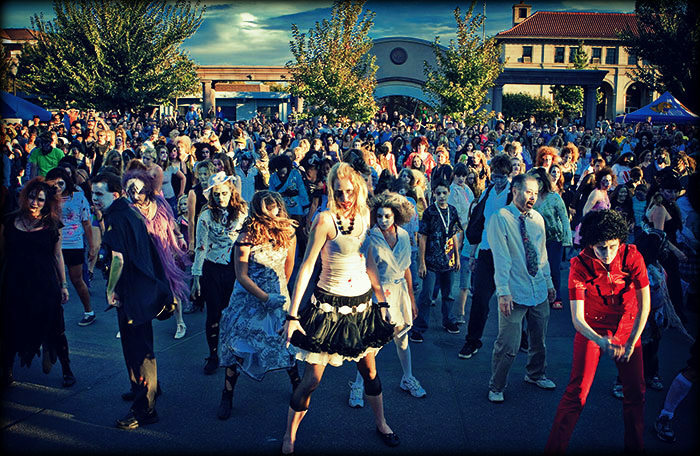 (Photo source: CSU Chico). A more confronting question is, do groups of relatively inexperienced observers generate more accurate estimates of plant cover than a single expert? Should you rent-a-crowd or employ a single ecologist to assess plant cover? (I’m not trying to diss my peers here; plant cover is intrinsically hard to estimate, and experienced ecologists have many other important skills, like identifying species correctly). Over the long run, groups performed better than any individual, as no one was always ‘the best’; some people estimated cover well at some plots, while others performed better at other plots. Now it’s your turn, dear reader. No more passive blog consumption, it’s time to think. 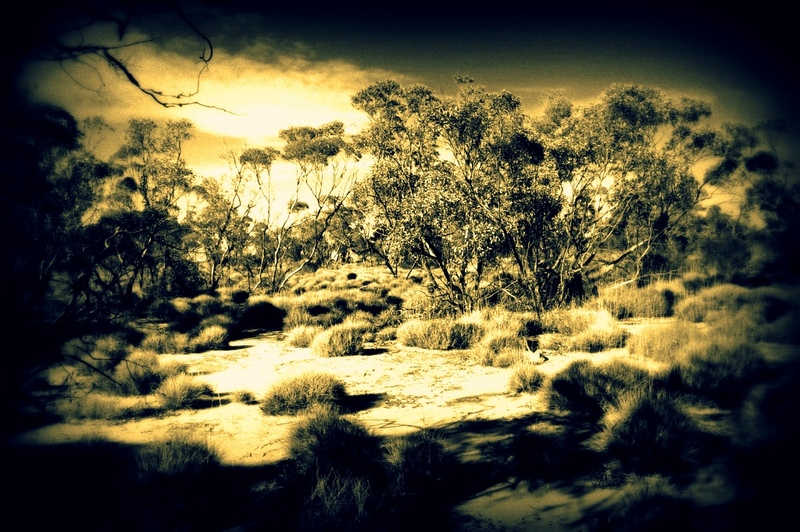 Quiz Question #1: What was the real cover of spinifex in the mallee? I know you weren’t there, neither was I. But that doesn’t matter. You can calculate a more reliable estimate of the real cover of spinifex than each botanist achieved in the field. Go for it. How do you do it? Just call on the Wisdom of the Crowd; the crowd of expert botanists. Individually, their 16 estimates varied wildly. But the average of all of the estimates must converge on the true cover, as Galton found for the fair-ground ox. It’s your turn. What the the real cover of spinifex in the Mallee? To estimate the true cover of spinifex, simply calculate the average of all of the individual estimates: (20%*4) + (25%*1) + (30%*2) + (35%*2) + (40%*4) + (50%*1) + (60%*2) divided by 16 botanists = 35% cover. No one measured the real cover value on the day. In most monitoring activities, no one ever does, it’s just eyeballed. Each eyeballed estimate is dodgy, but the average from all the dodgy eyeballs is ‘remarkably close to true values’, as Francis Galton, Bonnie Wintle and many others have demonstrated. [Nerd alert: In large groups the median provides a more reliable estimate of the real value than does the mean, but the distinction is trifling here. By coincidence, the mean and median are both 35% in this example]. At this point I’m sure that everybody – bar the control freaks – is busting to ask: how can we make sure that group estimates aren’t high-jacked by strong-minded individuals? After all, every group has a control freak, and the boss can’t be wrong. The solution is simple. Kill consensus. In the Spinifex mallee, Galton’s fairground and Wintle’s experiments, every participant made their decision privately, without discussion and without disclosing their individual view. The anonymous scores were then averaged. The control freaks and bosses had the same influence as everybody else. The wisdom of the crowd emerged from a blind ballot, not mediated consensus. Hand in our licence. We can fix the problem by refusing to eyeball plant cover. Instead, we can use presence/absence data and compare the number of quadrats that species occur in. (This works best for common species and when lots of quadrats are sampled). Take a speed check. We can take regular check-ups, to compare our visual estimates against more accurate approaches such as point quadrats. Continual re-calibration can refine our visual estimates and make sure they don’t drift off the scale. Take the bus. We can re-calibrate our estimates by working in groups as often as possible, and learning from the average values that the groups provide. Bonnie Wintle’s paper provides more information on how to improve estimates based on feedback from groups. Either way, our first task is to acknowledge that we have a problem; we need a speedo. Our second task is to accept that we can improve. Many dodgy eyeballs see better than one. So no more covering for lone individualists. Many thanks to Bonnie Wintle and John Morgan for providing feedback that improved the accuracy of earlier drafts, and to Dale Nimmo for providing Sarah Avitabile’s photo of spinifex in the Mallee. Burgman MA, McBride M, Ashton R, Speirs-Bridge A, Flander L, Wintle B, Fidler F, Rumpff L & Twardy C (2011) Expert status and performance. Plos One 6(7). [Complete paper]. Cheal D (2008) Repeatability of cover estimates? Ecological Management & Restoration 9(1), 67-68. [Abstract only]. Galton F (1907) Vox populi. Nature 75, 450–451. [Copy of complete paper]. Herzog SM & Hertwig R (2009) The wisdom of many in one mind: improving individual judgments with dialectical bootstrapping. Psychological Science 20, 231–237. [Complete paper]. Soll JB & Larrick RP (2009) Strategies for revising judgment: how (and how well) people use others’ opinions. Journal of Experimental Psychology: Learning, Memory, and Cognition 35, 780–805. [Complete paper]. Wintle BC, Fidler F, Vesk PA & Moore JL (2013) Improving visual estimation through active feedback. Methods in Ecology and Evolution 4(1), 53-62. [Abstract only]. Thanks again Ian for another great read! This has really got me thinking on a slightly different trajectory – still related (I hope). Imagine a forum that could facilitate the “many dodgy eyeballs” for Environmental Assessments (EA)! There must be hundreds of residential, commercial and infrastructure developments going on all around Australia on a monthly basis, all requiring an EA in some form. This EA would require one or two people to prepare and another to approve. Each EA presents a snapshot of the proposed site and identify the possible impacts the development may have. In such cases, there are not many eyeballs evaluating the proposed impacts to the site. Perhaps if there was some facility that could make use of the broader environmental assessment community (or just a big dumb crowd) and increase the number of analysts, a closer-to-the-truth evaluation may be made. I’m aware that some big developments go for public exhibition, but not all. I’m sure my comments are just like most ideas, it sounds great until the details are worked out. However, it is a great point you raise about the “bigger problem when we monitor how vegetation changes over time”. If an EA is undertaken by one set of eyes at one point in time, then the impact occurs, then a different observers assess that impact – it may be a waste of time to evaluate the changes. As you suggest, using presence/absence data may prove better if anyone cares to identify the changes post development. I guess ecology faces all sorts of human bias related obstacles that make it a little like wading through quicksand when compared to certain other sciences. The most objective scientific tools, like double blind trials, probably aren’t that applicable in ecology. Hi Ian, great post! One that many ecology teachers would empathize with. Student: Well, what’s the answer? Teacher: I don’t know! When I did my “primary survey” of the veg. of the Brisbane Rangeshere in Victoria back in 1967, I only did presence or absence in the quadrats, precisely because I had no trust in my ability to estimate plant cover, particularly in the dense grassy understorey of the woodlands. Later I regretted that decision, as at least my estimates would have helped to sort out dominant species from the others, even if rather crudely. Hi Ian, Thanks. Someone had to say it. I know a PhD student at ANU whose response to the challenge you identify has been to photograph each (0.25 sq m) quadrat and use the free program Samplepoint to determine cover. Another issue is what counts as cover. People differ in whether (vegetation/plant) cover includes lower plants and fungi, both of which have a disproportionate effect on soil loss. How much experience had the botanists had? I just find that in their first few years, botanists over-estimate cover, then as they get experience and develop technique their estimates come down. Looking at those estimates it just makes me think that maybe 20% was closer to the truth.